Last week, Venezuela-based news channel TeleSUR launched its English language website, bringing the left-leaning perspectives of Latin America to new audiences and offering a corrective to the English news media. The site, which largely represents the views of state backers Argentina, Bolivia, Cuba, Nicaragua, Uruguay and Venezuela, has already published incisive reporting on Israeli offensive in Gaza. Tariq Ali, Verso author and New Left Review editor, has long been involved with TeleSUR and will host The World Today, an interview show to be broadcast four times a week. The global corporate media is the mouthpiece for the system of the market — its political aims, its wars . . . [but] no one ever refers to American networks as mouthpieces of official propaganda, which they are. At English-language Telesur, we come with a different philosophy and have a different worldview . . . but we will not make up things, we will not make up lies, we will not show documentaries with certain things cut out, all of which have happened on Western television at one time or another. Tariq's interview with Venezuelan President Nicolás Maduro, as well a recent in-depth commentary on the situation in Gaza, is available to view on the TeleSUR website. The site also prominently features many Verso authors: The Poorer Nations author Vijay Prashad on the geopolitics of the Islamic state, Imperial Messenger: Thomas Friedman at Work author Belén Fernández on Israel as the U.S.'s adopted "progeny," and They Can't Represent Us! author Marina Sitrin on the Detroit water crisis—and it's parallels to the situation in Gaza—and the Greek collectivist workers of Vio.Me. Sitrin will write for Telesur three times a month, and even more Verso authors are on the docket. New Left Review Assistant Editor Tony Wood recently contributed a media review on Financial Times and Latin America specialist Richard Gott will write on Gabriel Garcia Marquez and Simon Bolivar. Racecraft: The Soul of Inequality in American Life authors Karen and Barbara Fields will write on new films on slavery. With its access to Latin American "administrations, officials and personalities that often shun the mainstream media," and strong roster of contributors, we are eager to see how TeleSUR will impact the landscape of English language media. 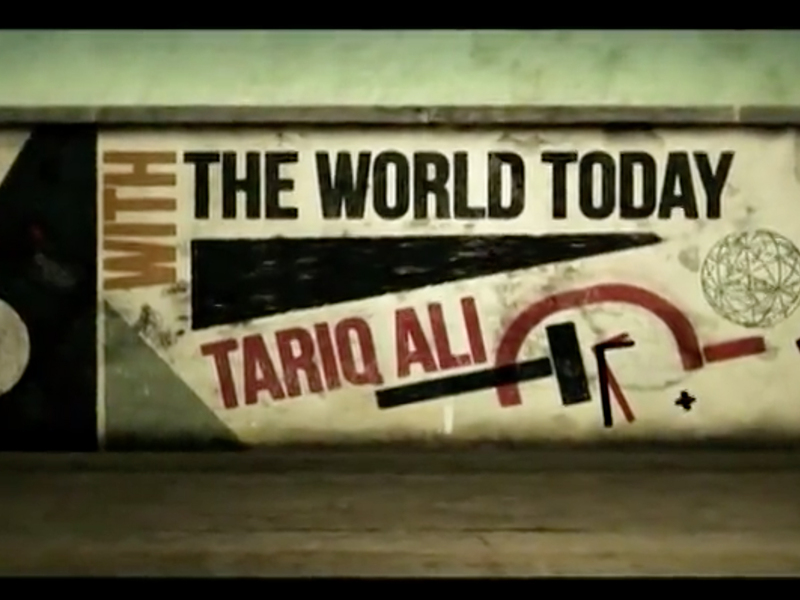 Tariq Ali's news show, The World Today. Tony Wood reviews the Financial Times on The World Today. Belén Fernández, "A New Round of Birth Pangs"
Vijay Prashad, "The Geopolitics of the Islamic State"
Marina Sitrin, "Direct Action to Survive in Detroit"
The Miami Herald article on the launch of TeleSUR English.